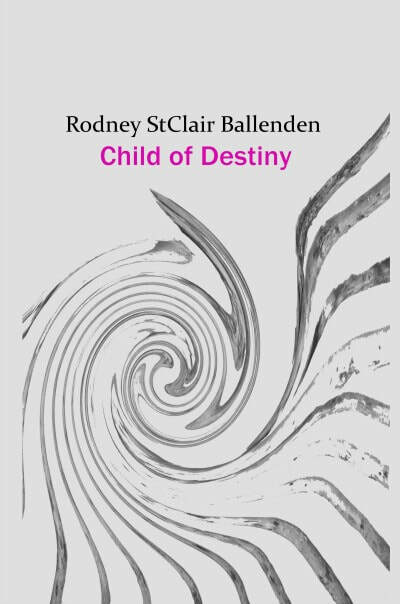 Rodney St Clair Ballenden was born in Nairobi, Kenya, in 1947. In lieu of an academic career he chose to travel extensively through Europe, the United Sates of America and Greece. He married Colleen and returned to South Africa to settle on her family farm in the Magoebaskloof district. There he learnt organisation skills and leadership, but the call of the wild drew him away from the life of a comfortable farmer to roam the eastern boundaries of the Kruger National Park. He chose a hermit existence, placing himself in extreme situations exposed to danger and the vagaries of storm and wind. This experience revealed his inner strengths, and from his observations on the relationship between man and the wilderness, he began to write. 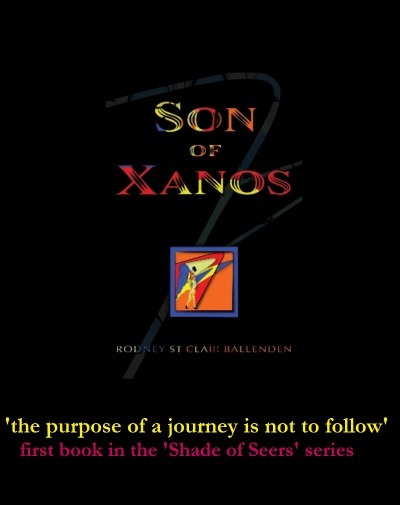 His Son of Xanos series is the result. Rodney blends fiction and lore where fiction is “make-believe” and lore the “ancient knowledge”. His storyline is based on a question in which he invites the reader to take one step inward in time. 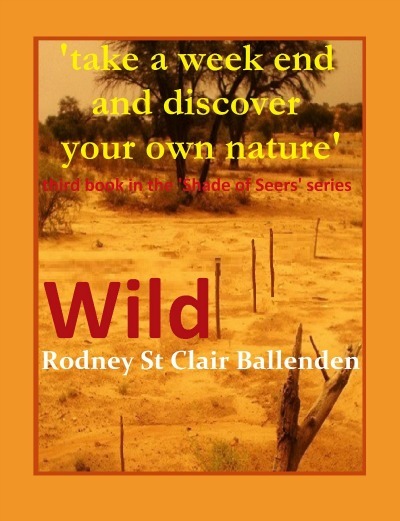 Rodney now lives in the Kalahari Desert in South Africa. Caruna diTenchi a wealthy Italian, contracts a tough bush ranger to lead a party of three on a fun adventure into the North Western Game Parks of South Africa. What Caruna does not tell James, the ranger, is the identity of the third person. Grace is the key to Caruna’s quest. She agrees to the deal, but as Caruna’s motives for the adventure become apparent she allies herself with James. James protests against the changes to the original plan and his suspicions rise. When Caruna redirects their route into the Kalahari desert James finds himself outcast from the circle of fun as Grace realigns herself in the role modeling of Caruna’s questions regarding sexuality and love and the building of a meaningful relationship beyond infatuation. Through the journey of Grace Rodney suggests that a creative imagination can out maneuver the horrors and betrayals of life. Innocent yet flawed, Azeha, is a child on the run. Born ten years after the revolution in Iran, Azeha, rebels against the restrictions of Sharia law and her family. Placed under house arrest she elopes with an American soldier to the United States where a child is born. But her dream becomes a nightmare, and she finds herself on the streets, running from the police. Innocent yet flawed, she returns to the coastal town where her baby is buried, in search of the love she imagined as a young woman. Rebellion and political upheaval form the backdrop to the formative years of Rodino Xanos. At a very early age he is catapulted by the chaos of the Greek civil wars of 1947 into a world of instability and distrust. When his father is executed he escapes into the mountains. Taken in by the gypsies and betrayed by his friend he is handed over to the communist partisans. There he meets Lieutenant Ellery of the American armed forces who introduces him to the thrill of language and personal communication. Later Lieutenant Ellery adopts Rodino as his own son and changes his name to Roland Carter to better bond in an all American society. At the onset of the Vietnam conflict Roland is repatriated as an American citizen to a Christian college in Chattanooga. However, his restless spirit flies in the face of a disciplined study routine and he drops out of all formal education. On the road he meets a Red Indian shaman and is introduced to the truths of the Medicine Wheel which haunt his onward journey to Switzerland, through the French student riots of 1968 and the running of the bulls in Spain. Only when he returns to Greece does he stop to take account of his wonderings and the lessons learnt to fix himself in a Universe of meaning and purpose. Roland Carter arrives in South Africa filled with hope and excitement. His relationship with Helen grows; his stature on the farm Pramkop grows, and so too the home he has always dreamed of. Then reality strikes. He finds shelter with an old friend on a game farm and, for the first time, meets the truly wild animals of Africa. He has heard of these creatures, but never met them face to face. When his friend dies, the children force Roland back onto the road. Going nowhere, facing the ever deepening realities of a disillusioned world, Plant Kingdom, a giant seedling nursery, contracts him to build a new office complex. At last, Roland can express all of his creative talents. Then disaster strikes; the floods ravage the nursery and disease wipes out the seedling plants. Roland is once again told to pack his bags and leave. He wanders up north and finds employment at Logan’s Camp, rebuilding the cabins destroyed in the floods. Here, Roland becomes drawn into the world of animals and the relationship between himself and nature. He begins to ask questions, especially, why only certain animals 'speak' to him? His journey diverts from the mundane search for work to the exciting search for meaning. Aspects of his subconscious draw him into the possibilities of a past life, and that he may still remember those experiences. He decides to live alone in the wilderness and through isolation and discomfort find his true place in life. 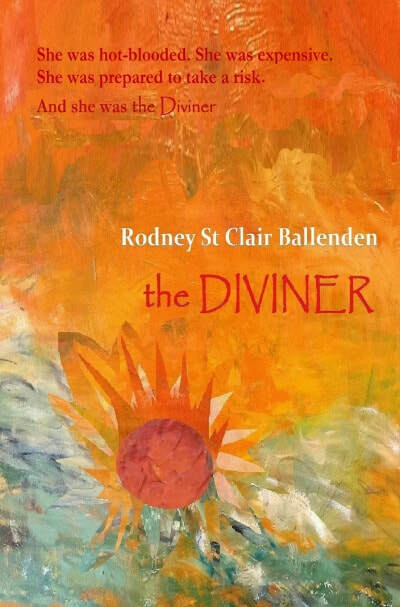 The Gap Between - a screenplay adapted from the novel by Rodney St Clair Ballenden. ​Stung by an insult, Angela Basson lives the lie of an estranged relationship with her husband, Steve. On overhearing a radio interview with Joachim Walsh, a romantic wilderness healer, she sets out with her best friend Janet, to face the challenge of one night alone and unprotected under a tree as a first step in a journey of reaching for emotional maturity. She does so and yet still cannot escape the vows binding her to her failing marriage. When Steve arranges a party, to inform his business partner, Jimmy, of his intention to borrow money, and expects Angela to organize things as per usual, Angela reneges. For the first time she fails herself. The party is a disaster, but from it Angela emerges stronger and more determined to set the past right. In a mad midnight mission to find her rebel son, Troy, she takes the second step into the courage needed to win back her self esteem. She breaks the bonds of denial blinding her to the flirtations of Janet and Steve and lays her plans for revenge. Yet, despite her years of training as a personal coach, she fails to foresee the betrayal awaiting her and is forced to retreat beaten and defeated - until banished from home by her own sons. If the Russian separatists can do it in Ukraine why can the Afrikaners not do it in South Africa? What if they had carved out a state for themselves in 1975 instead of invading Angola? When a nineteen year old Afrikaner forsakes family and loved ones he joins a modern crusade in a quest for ideological freedom. This then is the story of ZAR. Hurt by the lessons of a failed marriage, Haley Truscott lives alone and cut off from the outside world. She has the house, her music and one friend, and that she believes is all she deserves. Her husband, Matt, had taught her she was not worthy of love, his or anyone else’s, and in return she had denied him a child. She believes she has been exorcised from the eternal promise of a love strong enough to hold the family as one. And she now lives that lie. Financial worries regarding the upkeep of her property and annual Estate fees do not frighten her. She was once a dynamic business woman and if push comes to shove she could raise the money. But she feels comfortable about that. Up to now she has resisted going back to the ways of old and thereby giving credit to the teachings of Matt. But when a baboon invades her privacy and the young garden attendant her imagination, Haley’s defence structures come tumbling down. She agrees to attend the Annual Charade party for the benefit of the Estate children, and in quick succession the new men acquaintances in her life take advantage of her vulnerability. 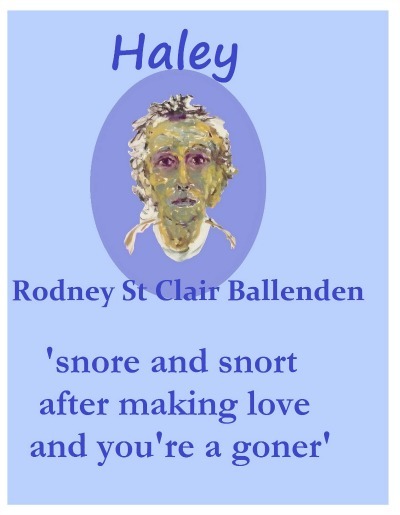 The escalating baboon problem on the Estate pits Haley’s material and spiritual values against each other and becomes the catalyst for her dramatic life changing decision. Roland settles on the farm, Kopiri Marindi, his dream come true, finding the home he had searched for since running from Crete. 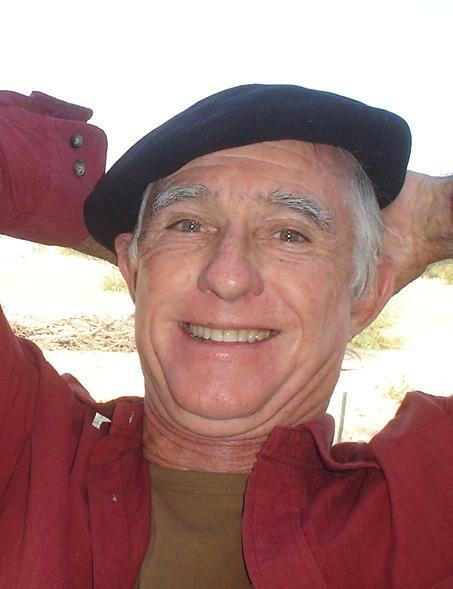 Nature and wild animals his only friends; Norris Harper, the property owner, his eternal enemy. Then Sally arrives in answer to his calling and Roland offers her a deal, one that ensures both she and Norris get paid. Against her will she stays and Roland’s lie becomes his reality. Disturbed and unhappy with the events unfolding on Kopiri Marindi, Roland climbs Cradle Rock to pose the question of his right to stay. Believing in the answer he destroys all that he and Sally had built and the potential of a steady relationship together. She leaves first, distraught, angry and unforgiving. Roland soon afterwards, alone, and once again on the road, walking to his final destination. When Loren Packard stalks her first Bighorn ram she feels the primitive forces of the hunter stirring in her. She craves the rush of power. The challenge of meeting an adversary eye to eye, each magnificent in their own way, and yet each holding the darker side of deceit inherent in all conquests of superiority of the one over the other. The fact that Loren is a novice makes the challenge even greater. She hires a professional guide to train her and works hard to meet his demanding levels of proficiency. All the while hiding her agenda from her husband and two children. However, her son, Lance grows suspicious. Always the interrogator and despite his tender twelve years of age, not the one for allowing sleeping dogs to lie. When the principal of her children’s primary school calls a meeting to discuss the insidious drug problem creeping into their midst and the related separation of parent to child, Loren rises to the occasion. She draws a parallel to the horrors of terrorism, the bully, and the growing threat of drug peddling at school, to the skills learned as a hunter and the challenges facing a child growing up in the modern world. 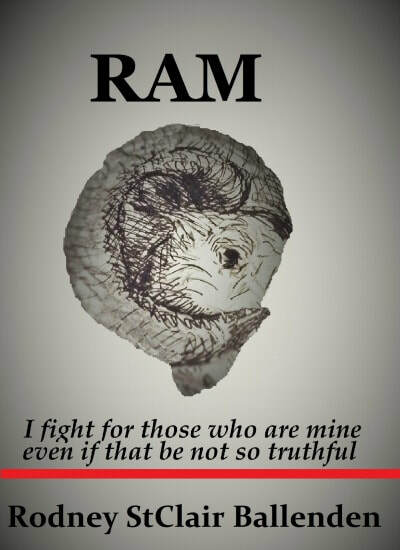 Her opinion stuns Larry, her husband, and with Lance nipping away at her defences, Loren tells them of her mission to hunt all four Bighorn rams in their own environments. The money to pay for this mission becomes Larry’s overriding concern and he vows to stop his wife. He knows that the money she needs for her hunt can only be taken from their family policies and, since his income has slowed, he feels compelled to intervene. Loren disregards the pleas of her husband and family in favour of the glitz and the glamour of the Bighorn hunting fraternity. She buys into the security of a professional Outfitting company, Extreme Hunt Adventures, and as she drifts from the truth of an inner calling, so the forces stacked against her mount up. Where once she had vowed to fight for those she called ‘mine’ even if that be not so truthful, she now stares defeat in the eye. Her mission seems doomed. Her well laid plans flounder against the brick wall of Wildlife administration details and the cruellest card of them all; fate. Her only option to admit defeat and crawl back home. Only then does her Red Indian friend, Stand Open, reveal his true worth. A worth which Loren had cast aside, but which now offers her a hand to go into those mountains and fetch her ram. And she does. She conquers the terrain and the elements. She meets the challenges of the hunt and brings out her trophy. But at what cost? And can she bare the consequences of her victory?